Guillaume Gimonet, Siveco China's Operations Director, has been invited by CODATA (Committee on DATA for Science & Technology) to speak at its Paris Seminar "Data Value Chain in Science and Territories Conference". Under the theme of "Challenges in Data and Knowledge Processing – The Case of China", Guillaume will summarize Siveco's experience with dozen of MNCs and SOEs projects in Industrial Asset Management on how data structuration is brought to a new level, leveraging Chinese specificities which includes data size, technology leapfrogging, and data-rich environment. This presentation will be given from Shanghai, China, from which Guillaume will give an insider's perspective on data gathering and structuring: a key element for effective and efficient asset management. More on this event on the CODATA France website: http://www.codata-france.org/en/. The full program of the conference is available here: http://www.codata-france.org/en/conference/programme/. 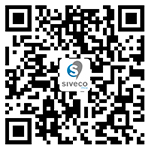 Guillaume Gimonet, Siveco China's Operations Director, has been with Siveco since 2008 in various positions ranging from business development to project delivery. As Operations Director, he oversees the company's project, product and support teams, including the firm's Shanghai R&D center dedicated to IoT and mobility. Before joining Siveco, Guillaume has been working in the paper industry in China's Shandong province since 2006. CODATA is the Committee on Data of the International Council for Science (ICSU). CODATA exists to promote global collaboration to improve the availability and usability of data for all areas of research. By promoting the policy, technological and cultural changes that are essential to make research data more widely available and more usable, CODATA helps advance ICSU's mission of strengthening international science for the benefit of society.